We at Greenworldinvestor had produced two lists in the last months, related to the state wise solar installations (as on 31st Jan 2017) and their respective solar potential. 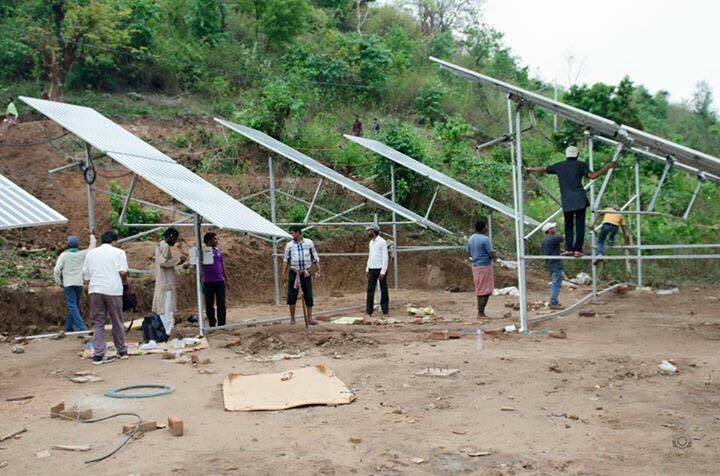 It is interesting to note that few states though they have a high solar potential have not yet started with any significant installations.As you can see from the list below, states like Manipur, Meghalaya, Sikkim, J&K, Himachal Pradesh, Mizoram, Arunachal Pradesh, Goa and Nagaland have not yet started utilizing the abundant solar power that these states receive. Hence, their solar utilization rate (% Solar installed/ Solar potential) stands at zero. Solar energy is becoming very cheap in India. In fact, India has the cheapest solar system prices in the world, even 20% below China. This coupled with the aggressive solar installation target of 100 GW by 2022 has led to many states adopt solar energy as a source of power. This is time for states like Manipur, Meghalaya, Sikkim, J&K, Himachal Pradesh, Mizoram, Arunachal Pradesh, Goa and Nagaland to sit up and take notice. Though few amongst these have other sources of power, eg, Himachal Pradesh has huge hydro power generation, others should take advantage of the attractive dynamics of going solar in India! Following this suit, states like Goa and Mizoram have already started work in this direction. While Goa has released its draft Solar Energy Policy, Mizoram has already released its solar energy policy, 2017. These states have high solar radiation and are in a good position to benefit from their location and cheap prices. With a growing population in India, there is an ever increasing demand for power. It is imperative for these states to include solar in their energy mix and achieve energy security. Goa has set up a target of achieving 150 MW of installed solar power by 2022. The Goan solar policy proposes the usage of solar power plants on canal tops and banks, in industrial, commercial, domestic and other applications. The policy also emphasizes the development of grid-connected rooftop solar plants and provision of net metering facilities. The feed-in tariff applicable to rooftop PV plants is yet to b decided upon. The other state of Mizoram has set up a target of 80 MW by 2022, mandating all state and central government departments to install solar rooftop systems. It is encouraging to see these states stressing on the installation of rooftop solar systems, which has failed to catch up in India. It is high time for all the states in India to work jointly for attaining the targets set under the NSM in the larger interest of climate change and global warming. A very good Information and Data details, to go in this mention State where they are in 0% Solar Installation, Everyone can do, to SELL Solar Energy products in this States. Jeetendra Saraf (Newtronics Green Energy-Jodhpur) We can do Solar System / Consultancy / Liaisoning / Metering / Electrical works for DC & AC side for State of Rajasthan.